This CTEK is a great piece of equiptment. It is extremely well made and does exactly what is says with the minimum of fuss. I love the silicone Bumper Protector, maybe all CTEK chargers should be supplied with one as standard. My only criticism is I would like the Leads to be detachable like the MXTS 40. 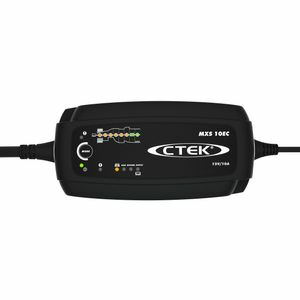 Overall an excellent charger which enhances the reputation of CTEK and justifies their products as some of the best on the market. As for Tayna, I would highly recommend them for their fast and efficient service. I will definitely use them again. Pat.